Former International University Sports Federation (FISU) and International Basketball Federation (FIBA) President George E. Killian has died at the age of 93, it has been announced. e died on Wednesday (December 6) in Arizona. The American had led FISU between 1999 and 2011 and was the Honorary President. He had served as President of FIBA from 1990 and 1998 and was also Honorary President of the world governing body. Killian was also a member of the International Olympic Committee between 1996 and 1998. 2010 World University Baseball Championship, hosted by All-Japan University Baseball Association, saw participation of 8 countries and was held from July 30 to August 7 at Meiji Jingu Stadium in Shinjuku, Yokohama Stadium in Naka-ku, Yokohama, Utsumi-Shimaoka Ballpark in Fuchū and KAIT Stadium in Atsugi, Japan. Cuba won Gold, U.S.A. Silver, Japan Bronze, followed by 4. Korea, 5. Canada, 6. Chinese Taipei, 7. China and 8. Sri Lanka. "George will be greatly missed by all of us at FISU," current FISU President Oleg Matytsin said. "After leading three US delegations to the Universiade, he first joined FISU in 1975, and later served unwaveringly as President. "George was deeply committed to helping young people achieve their potential through sport. "We are comforted by the knowledge that the impact of his work will continue to be felt for many years to come." 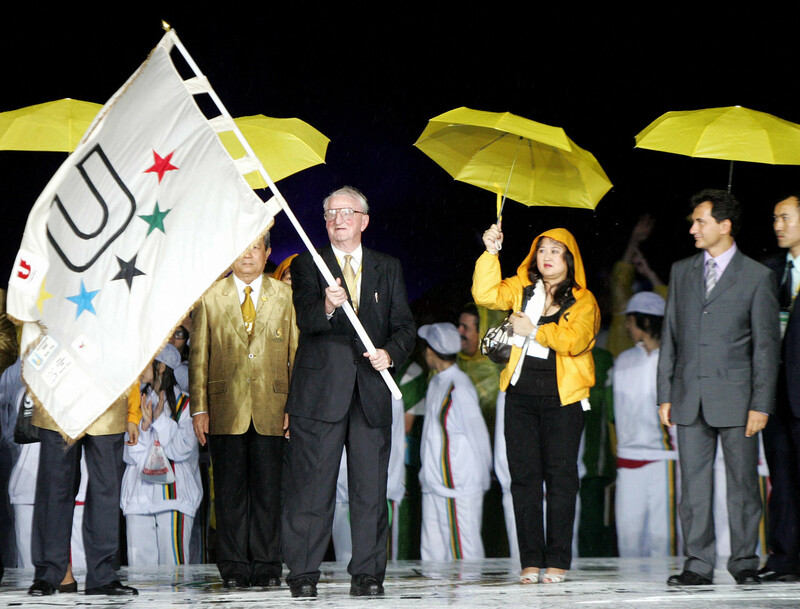 During his two-terms as FISU President, Killian oversaw 14 Summer and Winter Universiades, including three in China. The Summer Universiade in Beiijing in 2001 was the first multi-sport event to take place in China and paved the way for the Chinese capital to host the 2008 Summer Olympic and Paralympic Games. Shenzhen staged the 2011 Summer Universiade and Harbin the 2009 Winter Universiade. During these years, university sport saw tremendous growth, in both the participation and professionalism of the events, with participants raising from 6,009 at Palma de Mallorca in 1999 to 10,624 at Shenzhen 2011. He had been replaced as FISU President in 2011 when he was defeated at the election in Shenzhen, being defeated by Frenchman Claude-Louis Gallien by 76 votes to 67. "He was a very energetic person, a very dynamic person," FISU secretary general and chief executive Eric Saintrond said. We traveled the world and he was a tireless supporter of university sports. "He had this real passion for students and what sport could bring to this community."